News > Nickelodeon Brings Maggie & Bianca Fashion Friends To Poland And Benelux! 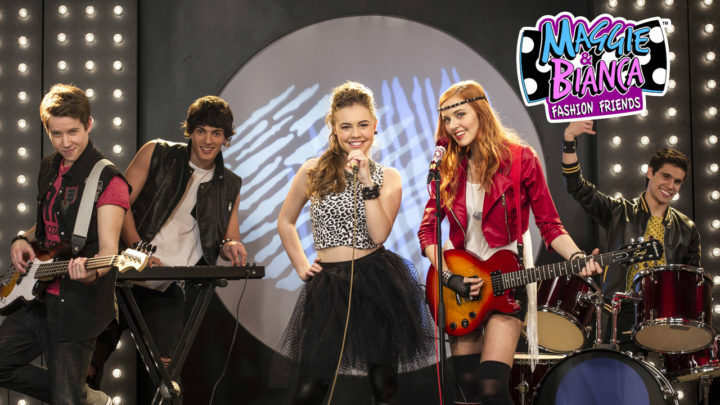 Nickelodeon Brings Maggie & Bianca Fashion Friends To Poland And Benelux! Maggie & Bianca Fashion Friends – the smash-hit live-action show from Rainbow – is set to hit the screen across Poland and Benelux on Nickelodeon. The series is delighting global audiences through lively, funny and engaging storylines that celebrate music, fashion and friendship. The show tells the story of Maggie – an ordinary American girl with a dream of becoming the world’s greatest fashion designer – who wins a two-year scholarship at the Milan Fashion Academy. There she meets Bianca, a self-proclaimed Italian ‘princess’, and together they make friends with other students, who all share a passion for fashion and music. The show follows their friendships, competitions, love stories, dreams and disappointments – as well as the discovery of secrets that change their lives forever! The show is already huge in Italy, where it has screened on Rai Gulp since August 2016. Other broadcasters include Gulli in France, Karousel in Russia, Disney Channel in Germany and TV Cultura in Brazil, whilst Video on Demand specialist Netflix will screen the show on a global level. Rainbow is committed to the show’s long-term success, with two TV movies set for release soon and a third series in production.